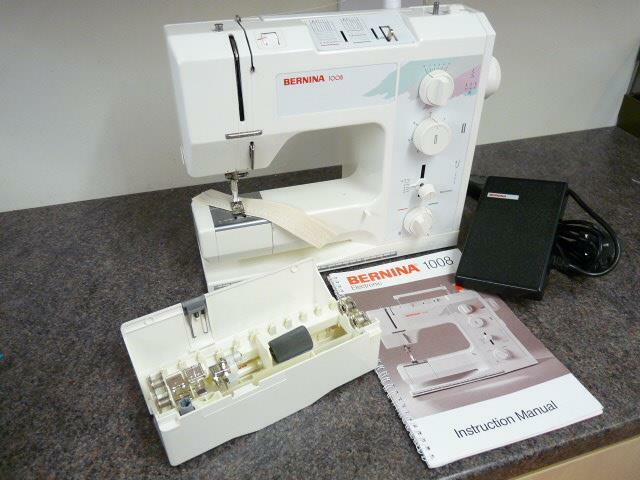 The Bernina 1008 is a traditional sewing machine that's perfect for general purpose sewing and at an affordable price. The machine includes 16 stitch patterns as well as reverse feed, decorative stitches, automatic buttonhole among many other features. The sturdy metal casing provides protection from accidental bumps and bashes whilst the accessory box slides into the free arm giving you a simple extension table should you need it. Although the machine suits the average household it's used by many thousands of professional sewers, patchworkers and can be seen in many schools and colleges even today. Included with this machine are foot control, instruction book, soft cover & accessories box.